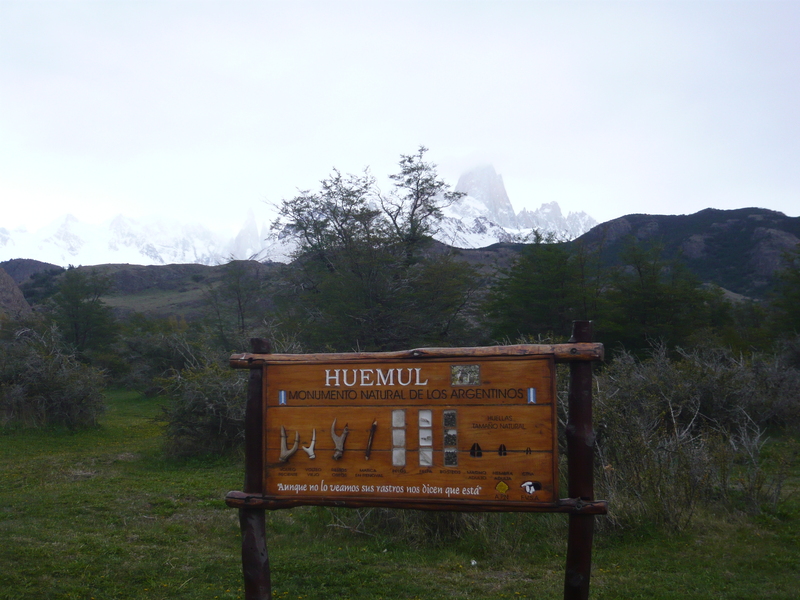 We woke up early after a wonderful, restful sleep tucked away in our rustic Patagonian “cabin”. It was eerily quiet and still. The morning sun was barely coming through the seams of the heavy woolen curtains. I peered outside the small window. 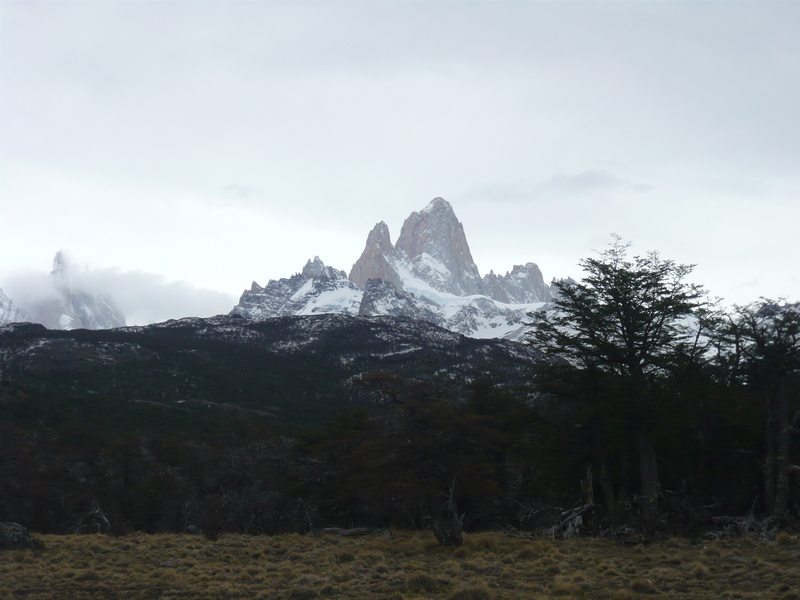 It was gray and looked cold; a dramatic change from sunshine and t-shirts just a day before in Buenos Aires. 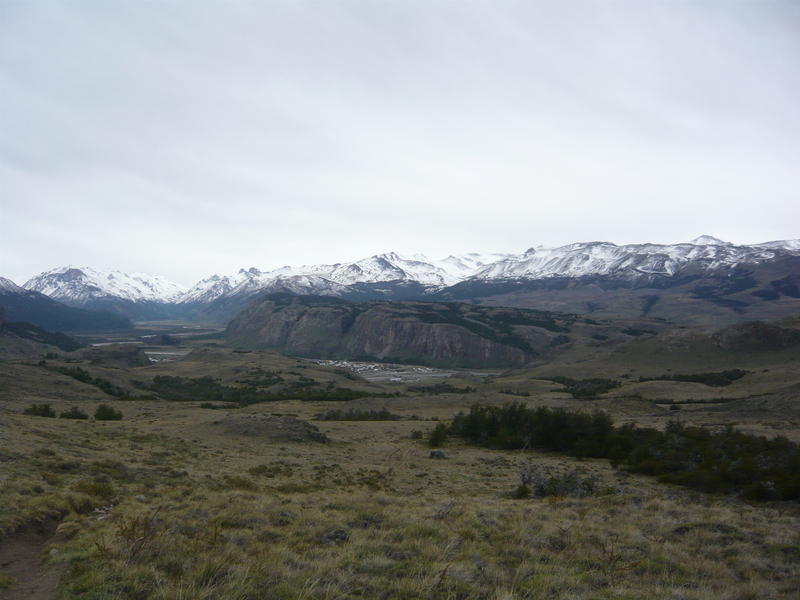 Yet I did not hear that unforgettable, forceful wind that I remembered only too well from my last trip to Patagonia. Fortunately for us, the vicious wind was nothing to worry about here. It was nothing like the incredibly strong gusts of wind that nearly knocks you over backwards in Punta Arenas, Chile. There, they actually have chains along the sidewalk for those brave souls to grab on to in the event of severe, forty to fifty mile per hour wind. 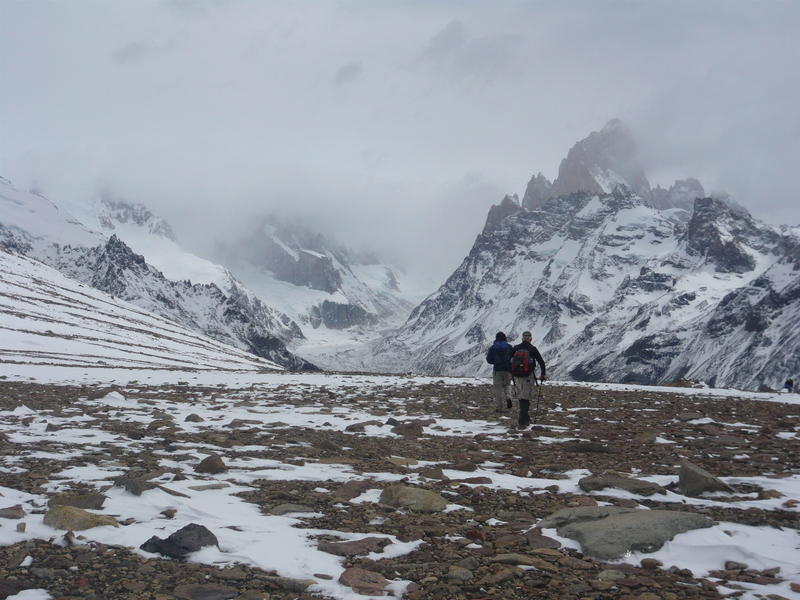 So I was relieved to know that El Chalten appeared to be better protected from those glacial winds. We ate a quick breakfast of delicious homemade breads, fresh strawberry jam, and fruit. I secretly wondered where the food came from and how often it arrived in town. 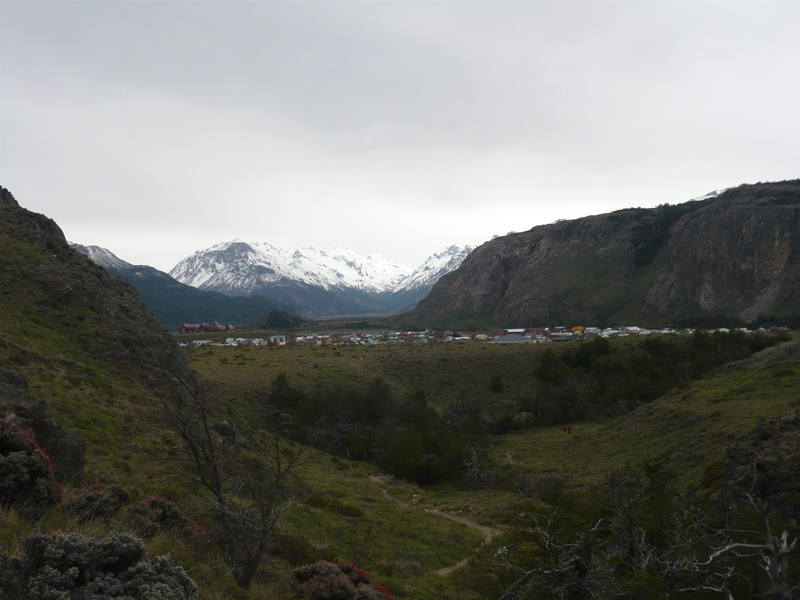 We had not seen a single truck on Ruta 40, the only way in to El Chalten from El Calefate. Yet the food was surprisingly good and amazingly fresh. How on earth it got there was a mystery to me. 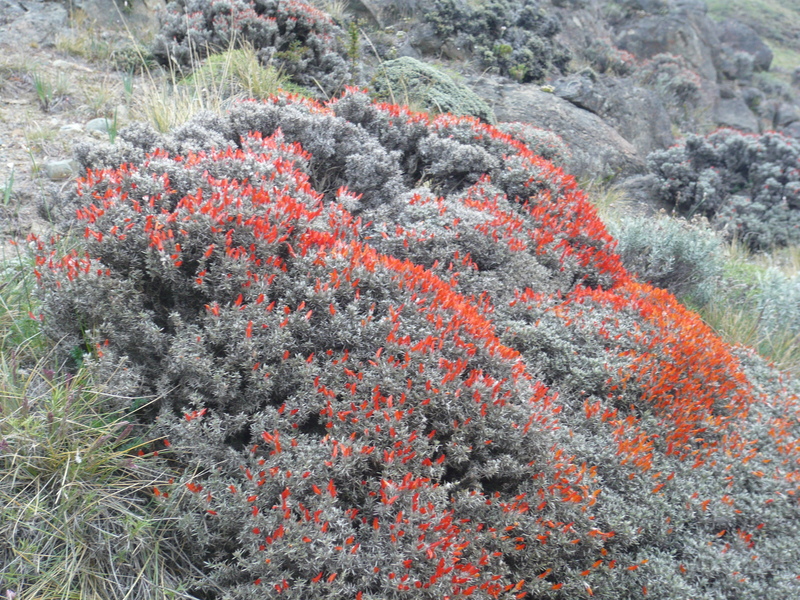 Our guide, Fabricio, from Cascada Expedicionnes was meeting us at eight o’clock sharp to begin our day. 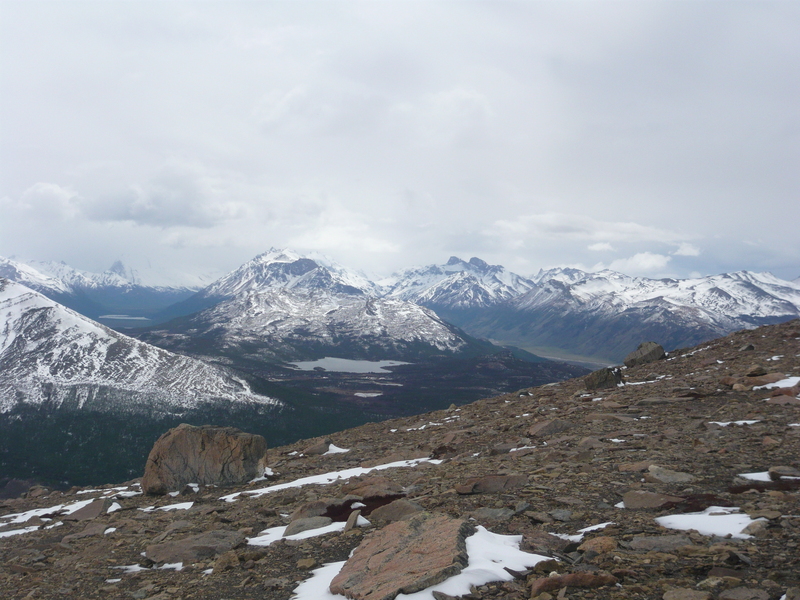 It would be a short hike, only 5-6 hours, with not too many ups and downs. A good “get in shape” hike to test out the waters and explore the park before hitting the bigger, more difficult ones. Fabricio arrived exactly on time and off we went. We wore several layers of clothing since it was fairly cold and dreary out that morning. 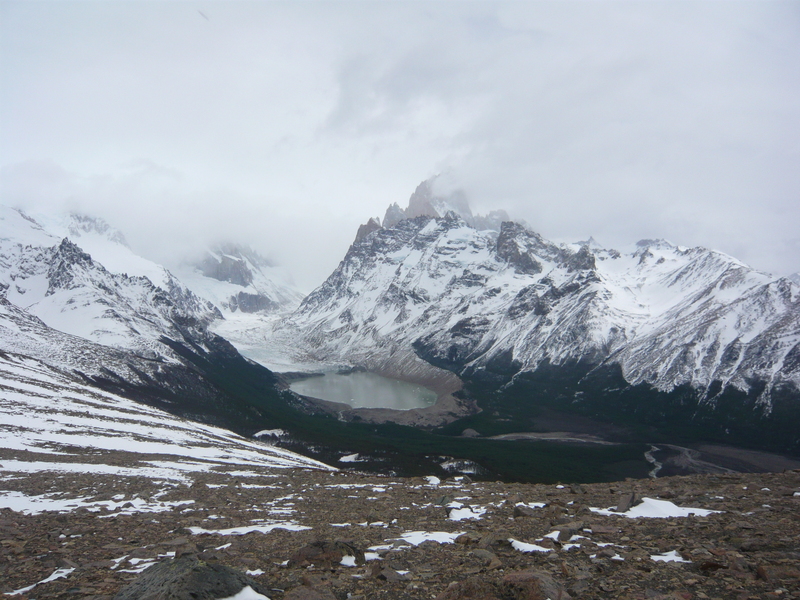 I had learned from my last two trips to Patagonia that when it comes to the weather, anything is possible. You can literally have four seasons in a day going from short sleeve shirts and sweltering hot to maddening, wild wind, sheets of rain coming horizontally, sleet and even a full out blizzard. 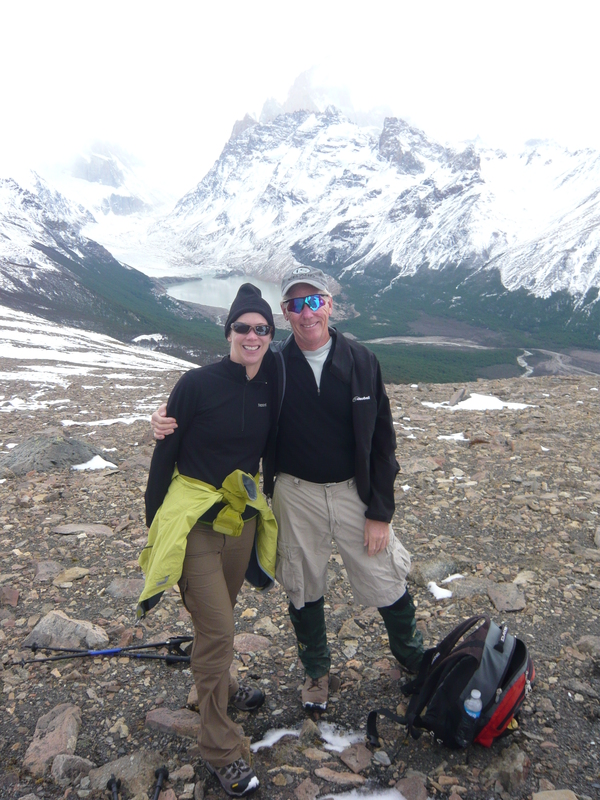 This experience of the “four seasons in one day” happened to my husband and I when we were trekking the infamous “W” trek in Torres del Paine National Park, Chile, where we got snowed in to a remote, mountain refugio. Thus, the bottom line is to be prepared and have multiple layers of waterproof and warm clothing packed in your day pack. Otherwise you will be awfully wet, cold and miserable. 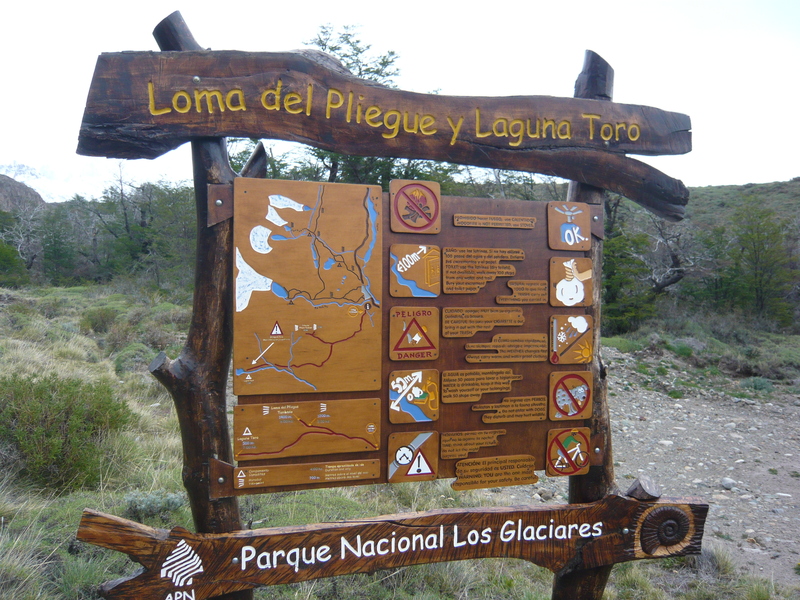 It is also a must to have an excellent, broken in pair of hiking boots as well as sturdy set of hiking poles or “sticks” (with the Spanish accent it was always “steeks”). The sticks are what save you when you have to pass through slick, slippery mud or snow-covered steep paths. You not only need the poles for balance, but safety so you don’t kill yourself or your knees. We set off with Fabricio and a husband and wife team from England, and were on our merry way. Like my father, the English couple was in their sixties and in excellent shape. They had traveled the world together, seeing much of it via foot. I instantly gravitated towards them and we talked the entire time about their life together and of course their biggest adventures. Unbeknownst to me, I learned about my next future trip from them, the incredible Annapurna Circuit Trek in Nepal. They marveled about their experience and said it was a trip of a lifetime that I had to do. Little did I know, that set the wheels in motion for what was indeed a trip of a lifetime and was recently completed in November of 2010. 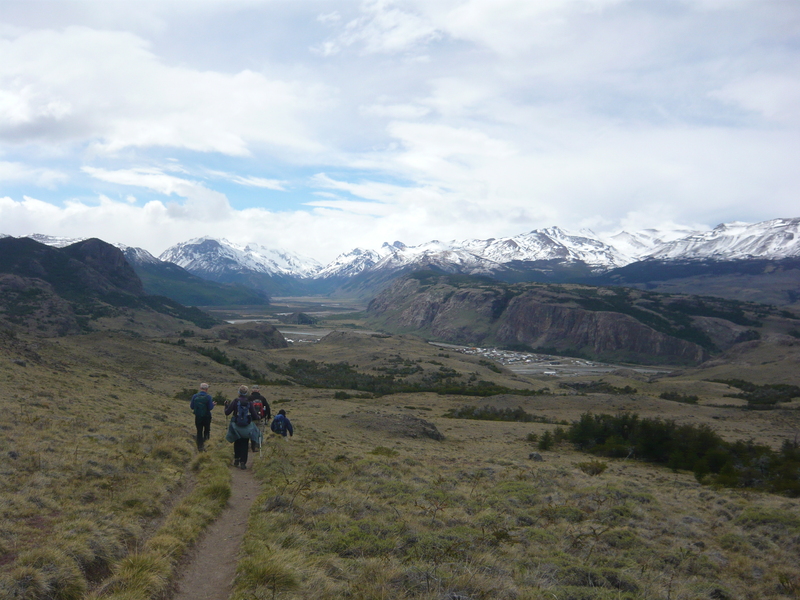 The best thing about El Chalten is that it is so small that the trails leading to the mountains and incredible views are not a far walk from town. Within ten to fifteen minutes, you are able to reach all the trailheads and suddenly all symbols of mankind are erased from your mind, except the infrequent hiker passing you by on the trail. It is truly incredible. There are no huge, annoying parking lots loaded with overflowing tourist buses. No McDonalds. There really isn’t much of anything except a couple hundred unpresumptuous buildings, one main road and the wild. A perfect place, in my opinion, to get away from it all and escape. Day 1 of our first trek. 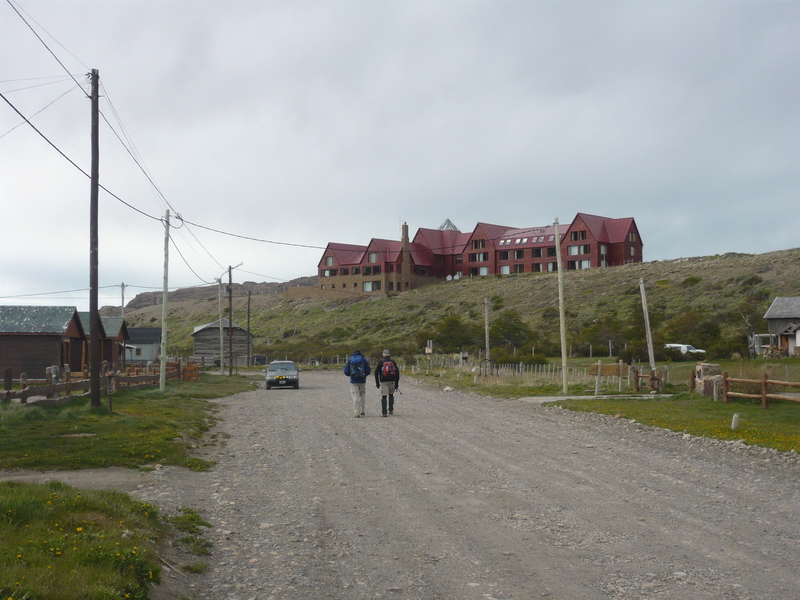 We left at 8 am directly from our hotel, walking right down the main steet in Chalten. 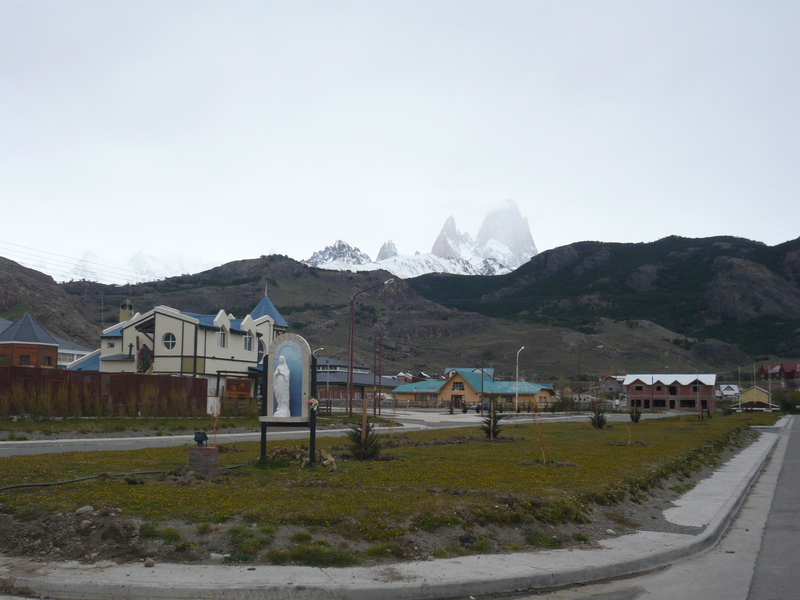 Chalten was formed in 1985. It now has 2-3000 inhabitants but before then, there was nothing. It felt like middle of nowhere probably because it was. There was nothing there except a handful of houses, buildings and the great outdoors. 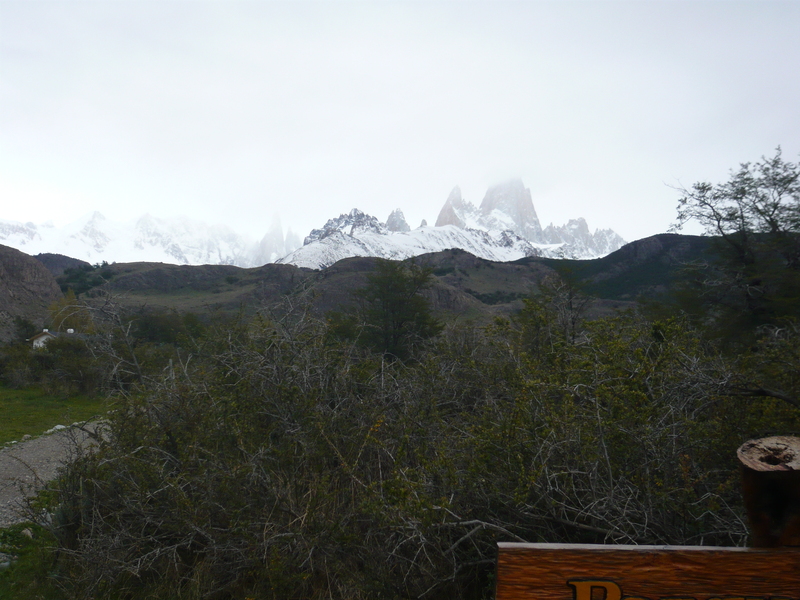 And this is Spring in Patagonia: Fresh snow on the mountains! PINCH ME….AM I REALLY HERE?